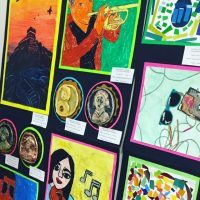 Scroll down to view some of the art and music programs offered in middle school. 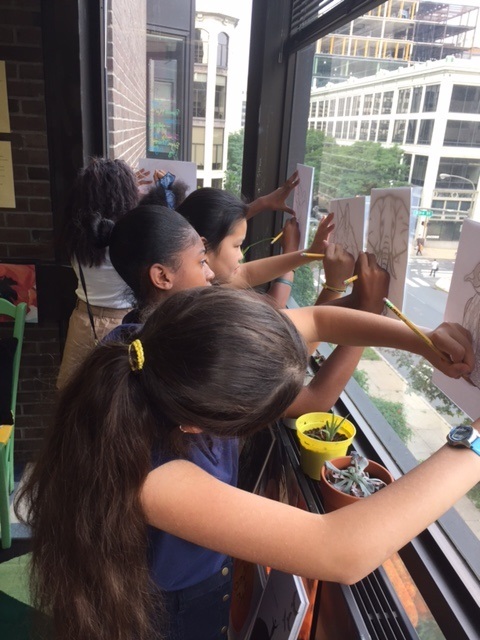 Some of our students’ artwork has hung in City Hall and at the Pennsylvania Department of Education offices in Harrisburg. 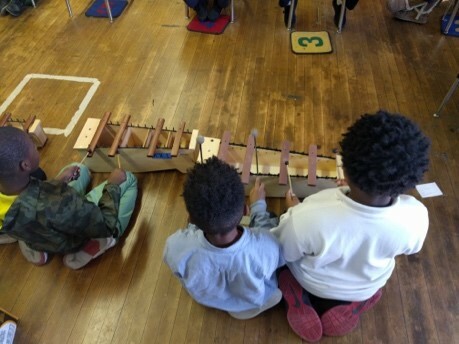 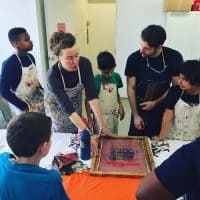 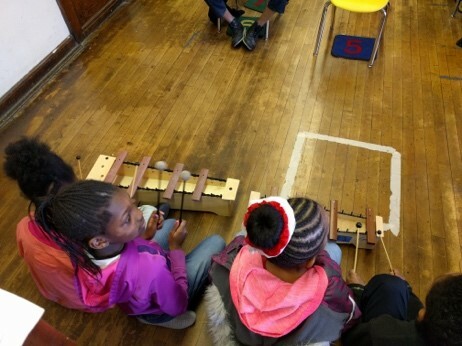 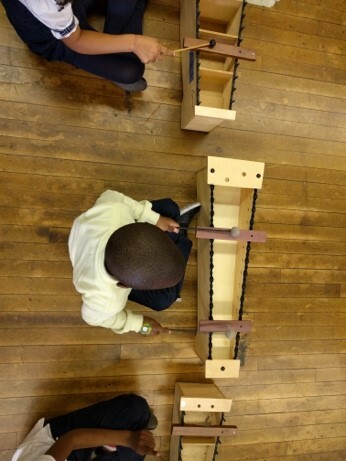 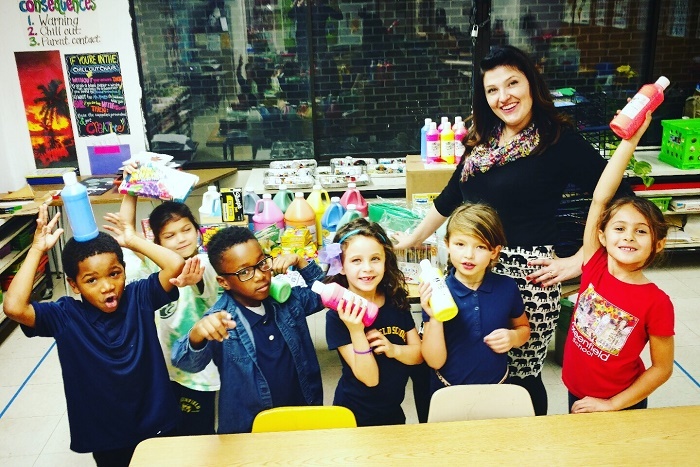 The Philadelphia Art Teacher Alliance curated the Harrisburg show to demonstrate that Philadelphia public school teachers and students are thriving despite lack of funding. 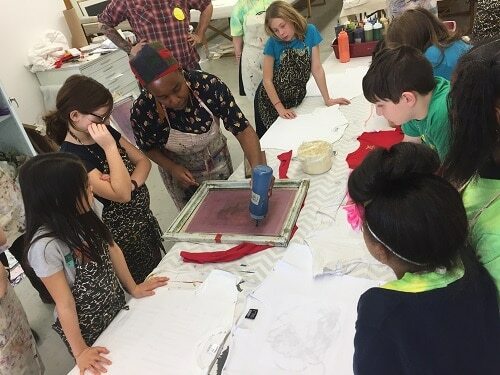 In the Spring of 2017, Greenfield was the recipient of a prestigious Picasso Project Grant awarded from the Public Citizen’s for Children and Youth (PCCY). 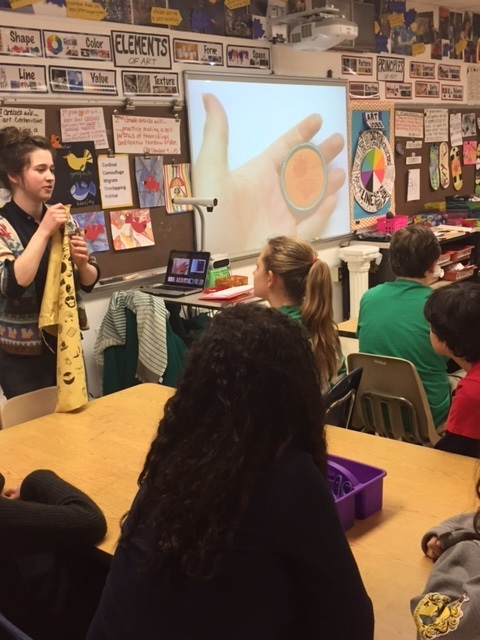 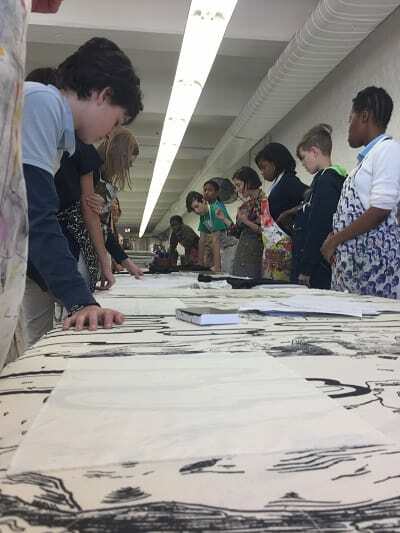 The grant helped to support a semester long exploration of textile print design for 5th and 8th grade students. 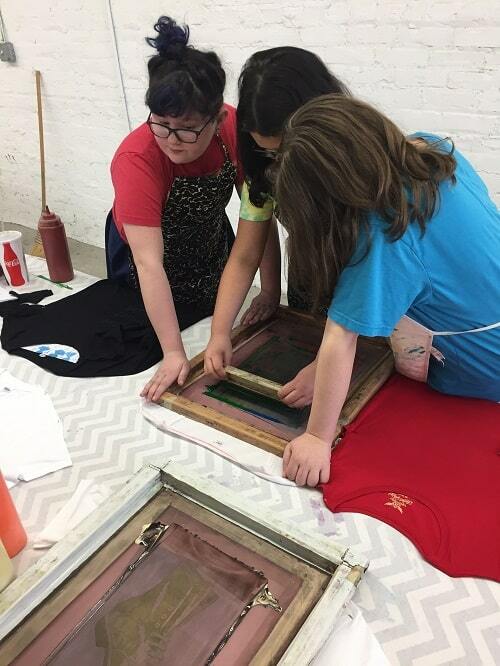 The project included several hands-on field trips to The Fabric Workshop and Museum to view textile work up close. 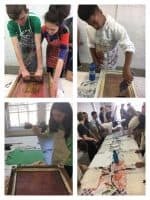 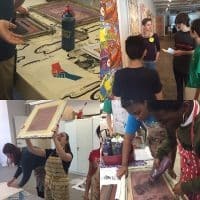 The students even got to meet with multiple professional artists working in the print tradition and even got to practice pulling their own screen prints in an authentic studio environment. 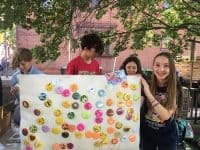 The grant supported a school-wide collaboration with textile artist, Sinead Cahill, to create an interactive public art and sound installation that combined soft sculpture and original student-written narratives. 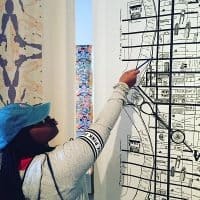 The public art event was featured on Philly Art Blog.